Copywriting is one of the most highly paid skills in the field of marketing. Copywriting entails the art and science of writing content for the purpose of achieving certain results. The result in question could be purchasing a product or service. It could also be downloading an item and so on. The copy could be , sales letters, landing pages and other conversion media that requires textual content for communicating an idea, product or service. In this post I have compiled a list of the Top Copywriting Courses online. if you want to become an expert copywriter, then invest in your skills. This introductory course from Shani Raja will provide you with a solid new framework for viewing your writing, thus allowing you to massively enhance your writing skills in as little time as possible. You’ll find a seismic shift in the power of your words as soon as you incorporate these principles into your writing. 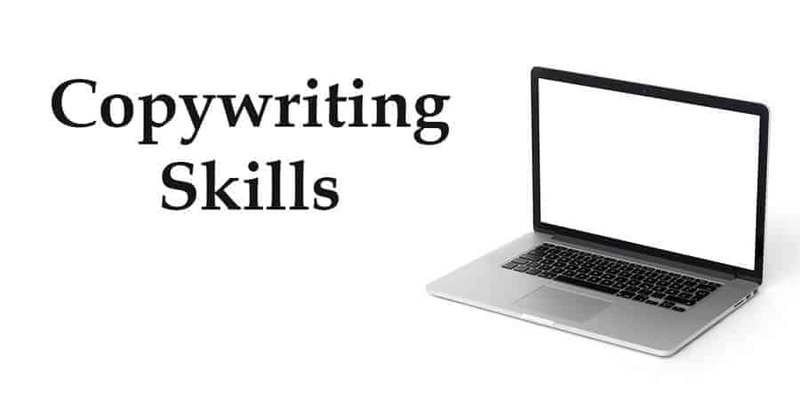 This course from Len Smith & Sean Kaye, focuses on a whole range of business copywriting. It also covers things like press releases. Such as How to write a press release and what to DO with it once you have written it. Like getting it published. You’ll learn how to write White Papers, case studies, web copy that’s optimized, and how to become a Voice in Your Industry (where editors will actively seek out your expertise). You’ll also get introduced to the most powerful sales-lead generation secret of all time. Complete with real-life examples. So you can see for yourself how the finished article looks and feels. In this course from Clare Lynch, you’ll get a detailed look at powerful principles that can be applied to most of the non-fiction writing types- including emails, reports, presentations, sales pages, blogs, advertising, and more. A unique, detailed step-by-step guide, this course from Len Smith will allow you to successfully become a freelance copywriter working from home, from scratch. #4 Copywriting Master Course – Work From Home 3 Hours A Week! This course from Max Barra is a copywriting master guide; it will help you to learn the best marketing tactics to skyrocket your sales along with teaching you how to use your copywriting skills. #5 Copywriting Blunders: Do You Make these 10 Common Mistakes? In this course from Alan Sharpe you’ll get a detailed look at how to spot the ten most common mistakes that wreck otherwise a good copy, to make sure that you avoid them so that your copy is concise, clear, and compelling. You’ll also learn how to use keywords, headings, titles, & descriptions to help your content attract and keep readers, and to be found in search results. In this course from Len Smith & Sean Kaye you will be fully trained up to write your OWN White Papers. With confidence. The creators will share their own, personal STRUCTURE for a White Paper and will let you watch as they write a White Paper from scratch. You’ll also get a ‘fill-the-blanks’ template. If you want to boost your business & beat your competition, then this course from Robin Hanna, a premium 6 hour video step-by-step guide (almost 56 invaluable marketing lessons) is the best option for you. Created by Oxford Learning Lab this course will help you become a Digital Marketing expert, and includes the following 14 TOPICS in the form of 223 AWESOME VIDEO LECTURES. A step-by-step framework, this course created by Brian Yang will teach you how to turn online leads into buyers with advanced copywriting techniques. It is perfect for information product creators, coaches, and internet entrepreneurs that are looking for a follow-along system to increase sales of service or product. A 10 STEP COPYWRITER SYSTEM, this course created by the Startup Central Inc. is a simple training program in which you’ll learn how to become a professional copywriter from scratch. In this course from Vladimir Raykov you will learn how to create and present irresistible offers that people buy! Every concept is explained by providing great, world-class examples of the most successful copywriters in the world. So, you will be learning about proven strategies. Not vague theories. …then this course from Vladimir Raykov is definitely for you. You’ll learn how to write amazing headlines easily and quickly every time. Which will increase the return on your investment, because more prospects will read the body copy than ever before, which will also result in increased social media engagement with your content. In this course from Vladimir Raykov, you’ll get a detailed look at what secret objections or questions your prospects might have along with learning how to eliminate these objections by using proven marketing tactics, strategies, and tips. This course designed by Alan Sharpe is for anyone who wants a shortcut to learning how to write great copy. By the end of this course, you’ll be able to write copy that gets noticed, gets read and gets results. This course contains no theory—just dozens of examples of copy that works, and a detailed explanation of why it works. It examines the most successful advertising campaign in history, the newspaper ads for Volkswagen that ran during the 1960s and 1970s. Each one of its ad is a case study in how to write clever, powerful, funny, amazing copy. If you want to become a paid copywriter than this course from Eric John Campbell & Dan Johnston is for you, as it covers everything that a beginner needs to know, including the business side as well as all of the copywriting knowledge you need. In this course from Dan Johnston, you’ll learn the most common mistakes copywriters, internet marketers and designers make when planning their landing pages and website. You’ll also learn the tactics and strategies behind the most effective landing pages and websites, and will get a checklist of the basic elements for a successful landing page. In this course from Giulio Gaudiano & Digital Guide, you’ll learn tools, principles and techniques for writing on the web effectively and professionally. It is a guide that follows you step by step, with the lessons having a practical cut, with little theory and many tips to get concrete results. You’ll learn how to access them, and on top of that, you’ll get the inside scoop on some helpful hacks for making the most of them! Created by Sandor Kiss & Patrick Dermak, in this course you’ll learn different strategies on how to acquire more customers and get better results almost overnight! First, it covers the art & science of headlines that convert in lesson No. 1. You’ll get a headline swipe file, which includes top performing headlines, allowing you to boost your conversion rate immediately. Next, it covers how to use something called a ‘grabber’ to get the attention of your audience as well as the correct way of using testimonials in your sales message. Then, you’ll how to appeal to the Life-Force 8, how to inject scarcity, and how to use a 100% free tool to double your sales copy conversion rate (hint: what you are about to discover is something copywriting legends charge thousands of dollars for). In this course created by Joeel & Natalie Rivera you’ll get a detailed look at proven copywriting techniques that will help you clearly target your market, communicate your message, and lead to sales. Through instructor videos and detailed PDF worksheets you’ll be walked through how to write effective marketing copy, both for print marketing material and your website. Created by Len Smith & Sean Kaye, in this course you’ll get a detailed look at how to become a ‘Voice in your Industry’, Be trusted and known by influential freelance journalists, editors and bloggers. You’ll learn everything from getting quality coverage to developing a professional media plan, on-line and off. To help you get more sales & make your message more effective along with allowing you to tell your story the way it deserves to be told. This Professional Copywriting course is designed by Earners Classroom for aspiring copywriters or webmasters who want to learn the art of persuasive. Follow the easy copywriting methods and techniques outlined in this brand new, straight to the point, Copywriting course and your visitors will go from suspicious readers to trusting, eager to buy customers at the blink of an eye. Imagine yourself having the skill of writing amazing marketing copy that sells. This very skill may skyrocket your sales by 2 or 5 or 10 times. Created by Vladimir Raykov, in this course you’ll “Discover the Best Well-Kept Secrets on Converting Cold Features Into irresistible Benefits That Sell YOUR Products”. Created by Eduonix Learning Solutions, Eduonix-Tech in this course you’ll get a detailed look at how to become a successful copywriter from scratch. The step by step tutorial will get you started from the basics of copywriting to how you can become a master in the industry of copywriting. This course created by Steve McDonald focuses on how to make your writing more persuasive. You’ll be provided with a simple 3-Part Sales Copy Formula that you can use for all the sales copy that you write. It takes you step by step from your headline to your call to action. It will give you more confidence every time you write and will quickly eliminate common issues like writers block. How knowing a few key things about your product can drastically improve your copywriting. How to quickly get to know your customer on an intimate level. How to format your sales copy so it is a joy to read. How to set your writing on fire, and motivate readers to take immediate action. How to give readers the confidence to buy by including social proof in your copy. Created by Dave Espino, in this course you’ll get a detailed look at how to get a high-quality sales copy written. When you complete this course, you will have a powerful salesletter. brochure, investor pitch or sales video! Created by Jean-Gabriel Paquette in this course you’ll get a detailed look at the exact strategies and techniques you need to create amazing content that your audience loves, write stories that sells and know the secrets of writing. Created by Clare Lynch in this course you’ll get all the tips, techniques and templates you need to build a sustainable career as a freelance writer. Not for beginners! Created by John Colley Online Course Creation, this course will help you understand how Social Media works and what it can do to help you grow your business. It will explain many of the concepts and features of Social Media as well as teaching you how to execute your Social Media Marketing and Content Marketing Strategy on different platforms! What this Course will give you! Direct Response for print and web. Scripting for radio, tv and web video. Mastering the elusive call to action that kills. Take your pick of the highest paying jobs. #36 – 155 Years of Copywriting Insights Taught In 1.5 Hour Course! Created by Eric John Campbell, in this course you’ll learn the important principles of copywriting and how to apply them to remarkably increase your sales. If you have found Copywriting to be a difficult subject to grasp, then this course created by John Colley Online Course Creation will help you to succeed and to achieve your goals efficiently and effectively. In this engaging, practical Copywriting Training course created by Oxford Learning Lab, you will learn how to craft successful digital copy from scratch right through the drafting and editing stages. It will demonstrate how to build persuasive web pages that demand attention and engage with the user. Created by Alireza Etemadi & Pouya Eatemadi Rad, With this course you’ll learn and master how to write a powerful copy that increases sale, attention, followers with using practical tips and techniques. This course created by Johnson Kee contains over 25 lectures and close to 4 hours of video content. No matter if you’re new to copywriting or someone with experience, there is something to learn. For example in along with learning about different kinds of copywriters, you’ll also get the secret to time management for writers. Hint: it all starts with something you use in the kitchen and you can’t eat it. How I found clients online with no business name, no website and not even an email address! The 5 Power Niches that can service you with an above average income for the rest of your life. #42 Copywriting Crash Course – Work From Home 1 HR a day! Created by Melissa Elizabeth Ong, in this course you’ll learn the best copywriting skills to make it big online. Work from home & become your own boss. No experience required. Sales copy that will have your phone ringing off the hook! #45 Win Top Paying Copywriting Jobs With My Copywriting Secrets! Find the top copywriting jobs in the market. Apply successfully for top copywriting jobs. Keep those top paying clients. Everything is included in this course that you’ll need to succeed in becoming a top paid copywriter. 21 Copywriting Hacks are included in this course created by Nick Usborne, which represents a checklist the creator uses to improve the three core elements of any sales page (the Headline, the Body Text and the Call To Action). Created by Zach Miller & Alex Genadinik, this course will help you understand how to structure your company’s products and services (even if you’re an affiliate) in a way that’ll allow you to make two to three times more money from the same exact traffic that you are getting right now. Created by Scott Selsor, this course is perfect for students, novice copywriters wanting to learn more about digital marketing and for digital marketers who need to know how copy is different on the web. It’s also great for working copywriters who may have missed out when the digital revolution changed the game for marketers. This course created by Alan Sharpe is filled with practical, step-by-step advice, tips, tricks & tools that the creator (as a professional copywriter) have learned over the years. Dozens of examples from the real world of copywriting are used to help you understand what copywriting is, and how to get started on any copywriting assignment. This course created by Alan Sharpe teaches you how to do the toughest thing in copywriting—grab and keep attention. You’ll learn the tips and tricks that the creator have learned in over 30 years of writing headlines and opening lines. After taking this course, you will know how to write headlines that grab attention. And how to write opening lines that keep attention. Created by Alan Sharpe, this course consists of three sections. Section one: it’s all about persuasion. The creator will show you how to write using features and benefits. You’ll learn how to give your sales pitch a proven structure. You’ll cover guarantees, testimonials, deadlines and other tactics that persuade people to buy. You’ll learn how to write copy that overcomes objections. Section two: it’s all about offers. You’ll discover why your copy needs an offer. You’ll get a look at the two main categories of offers. And the creator will share with you the many ways you can use offers to boost the power of your copy to persuade. Section three: it’s all about keeping your readers hooked. You’ll learn how to write subheads and photo captions that keep your potential buyers engaged in your copy. The creator will show you how to make your copy more effective by making it conversational and personal. Created by Barry North, with this course you’ll learn how to create great copy for your Sales Materials. The training consists of three sections. Section 1 covers copywriting basics, Section 2 goes over copywriting concepts and Section 3 explains copywriting styles. When you are first starting out with online marketing, it may be difficult to understand why good copy is important. You need to use the “You” attitude when writing your copy. You need to speak using “you” or “your” so you are speaking directly to each person who sees the copy. You should use a conversational tone that is casual and funny. You have to strike a balance between serious and funny. You should use the AIDA formula for all of your copy, including your sales pages and marketing emails. This is really about your headline. You need to write a compelling headline. The headline should draw readers in and get them interested right from the beginning. You will grab people’s interest by telling your story. You can talk about a time when you were just like the reader. You will create desire by talking about the benefits of the product. It’s important to understand that benefits aren’t the same as features. This is where you tell the prospect what you want them to do. Tell them what the next step is. You need to know as much about your customer as possible. If you are writing long form copy, it should be similar to a newspaper editorial. As you know by now, you will use subject lines or headlines to grab readers’ attention. Don’t get too hung up on choosing between short or long copy. Regardless of the option you choose, start getting your copy ready today. In this course created by Rachel Rofe you’ll learn how to effectively communicate what you’re selling without losing people. By the time you’re done, you’ll learn how to write a sales letter in 2 hours or less. The 5 most important elements on any sales letter (Get these right and you can pretty much forget bothering with anything else) …and a bit more. Created by Scrembo Scrembo this course will help you to learn everything in order, easily and effectively to position and create your own high quality copywriting. You will be able to start using this amazing strategies and structures to create your own copywriting while avoiding making errors. Watching and learning this course will allow you to develop your skills with no limits, everything is explained step by step with clear videos. Copywriting Types you can use. The Buying Process. It’ll help you understand how to justify buying decision to customer. The Market Research. Teaches you correct way to research data for Copywriting process so that you should only write those things which your customer thinks are interesting. Writing Hypnotic Value Propositions. Make customer believe your product is just what he is looking for. Communicate Value Of Your Product.Your customer want to buy a high value product, communicate to him your product is high value. 15 Tips To Write Amazing Headlines. That will grab and hold attention of your customer. 2 Methods to Instantly Connect with your Customer. Customer trust only those with whom they can connect. Connect with them, win their TRUST and drive more SALES. 5 Ways To Attack Customer’s Mindset. Will make customer feel emotionally attached to your product. Kill 5 Most Powerful Objections of Customer. Make your product appear superior to competition and cheap as compared to value you’ll deliver. How To Use Power Words ? Learn about exact 3 locations where adding power words will provide maximum boost to your sales process. Some Advanced Strategies. Win their trust, establish credibility and quality of your product. You will get a bunch of information in this course and once you complete the course you will be an expert in copywriting and the creator’s (Rufeena Jones S) freebies will also help you to a great extent in promoting your copywriting ad’s.